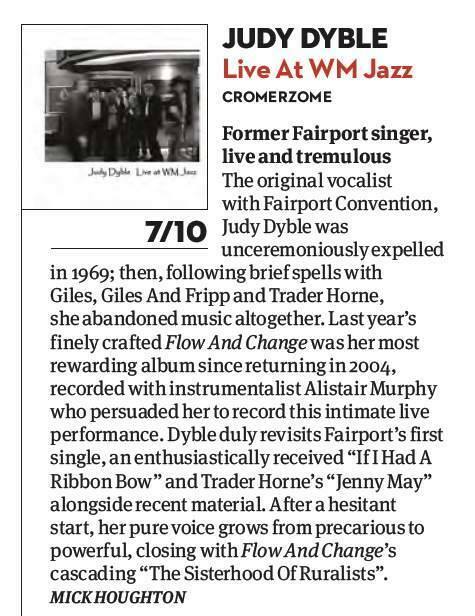 Home→Arranging→Judy Dyble Live at WM Jazz – Reviews! 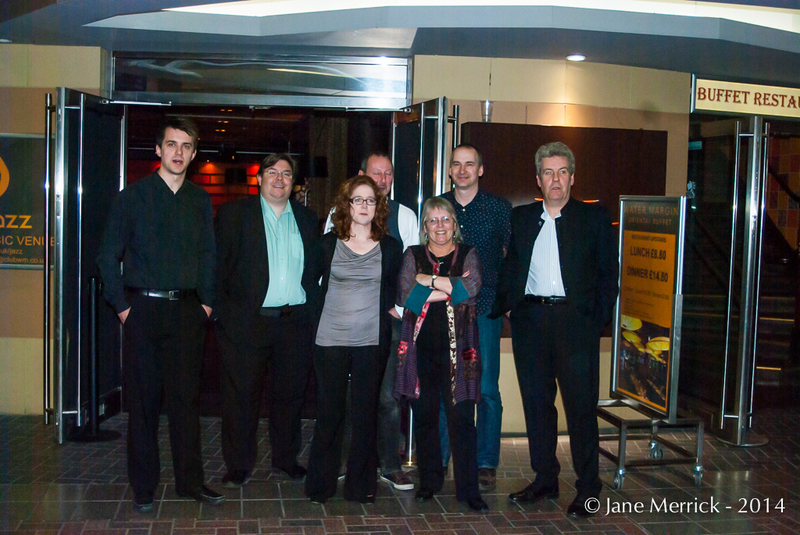 Judy Dyble Live at WM Jazz – Reviews! Unique performance from unique artiste creating enchanted garden in the midst of urban jungle. 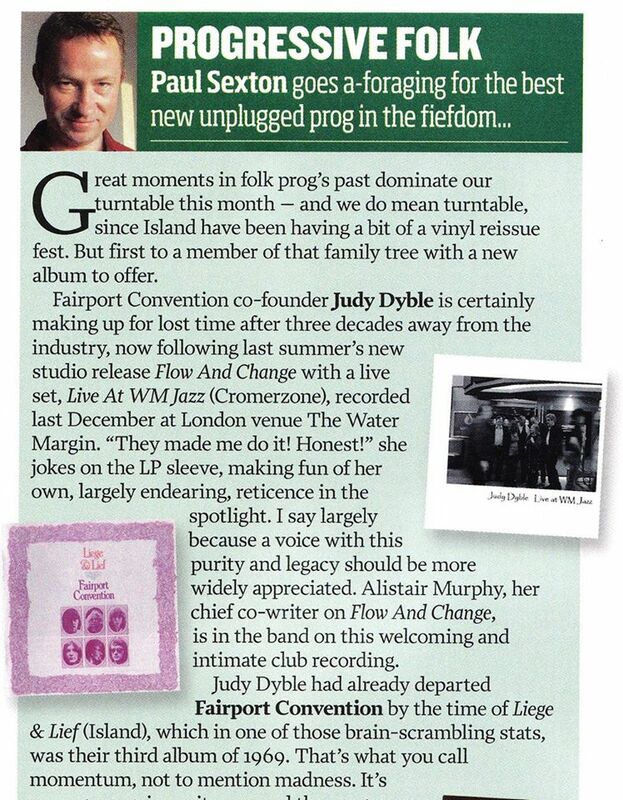 “Concert recording” and Judy Dyble: for many years these words couldn’t share a context. Since the late ’60s, the singer’s on-stage appearances have been sporadic and usually hosted by FAIRPORT CONVENTION, the band she once fronted. Judy playfully revisits that time with their debut single “If I Had A Ribbon Bow” on her first-ever live album which is anything but a trip down the memory lane. Save for another gentle glance over the shoulder with “Jenny May” by TRADER HORNE, a duo Judy didn’t have much of chance to tour with, Dyble’s current set represents her latest brilliant brace of albums, “Talking With Strangers” and “Flow And Change” from 2013, and the former’s title track provides a perfect piano-rippled opener to this silvery suite of songs. Accompanied by a sympathetic coterie, including her producer Alistair Murphy on ivories, acoustic guitar and backing vocals – who also steps forward on the tremulous “Grey October Day” – the chanteuse flows through delicate melodies with emotional ease even when their subject matter is heavy, as it is in the bittersweet flutter of “Crowbaby” or “Wintersong” that are elevated by a violin ache and hope. Yet if “Silence” finds Judy at the crossroads of timeless tradition and chamber nu-folk, there’s an electric lyricism to the raw, sparse blues which lulls “Black Dog Dreams” to cut it through with drama. But all the threads come together in the transparent tapestry that “Sisterhood Of Ruralists” draws down like a curtain to shroud Dyble’s performance in mystery she’s always been – and she remains a great enigma whose public advent only adds magic to her voice. Witness a rarity translating into beauty. Here are four 4-star reviews from Record Collector, R2, Shindig and Prog magazines! This entry was posted in Arranging, Concerts and Events, News, Reviews by Phil Toms. Bookmark the permalink.